Oh, all those decorating magazine that tell you to leave books, lotions, and treats in your guest room. My guest room is also the studio, so you're lucky if I vacuum to pick up any errant pins. But my SIL's Mama hosted me back in October for Quilt Market. She is such a generous person that of course she had all that stuff in her guest room for me. And for the second time ever I actually picked up the book on the night stand. 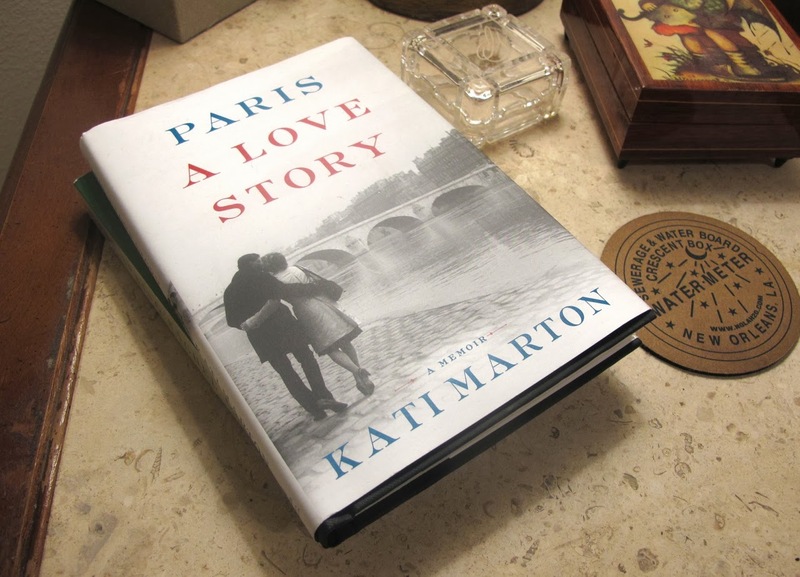 Paris: A Love Story is a memoir by journalist Kati Marton. With the backdrop of her marriages and love affairs with Peter Jennings and Richard Holbrooke she captivates with the story of Paris in her life. Paris was where her living and her grieving happened. Where she became a woman is Paris, where she meets her last love, where she retreats. Now, I must admit that I didn't know the name Kati Marton when I picked up the book. I finally figured out who she was when I came to the picture section. I didn't feel the need to Google her because I just wanted to read the story. She is a wonderful writer, knowing well how to tell a story to capture her audience and hold them. So while the people in her story are real and almost all famous, I was interested in them as characters in her story. But if you know her world of American journalism and even the politics then it must be rather fascinating to have this behind the scenes look. After three late nights spent reading I finished the book hours before I got on my plane home. And was able to leave the book behind for the next guest.